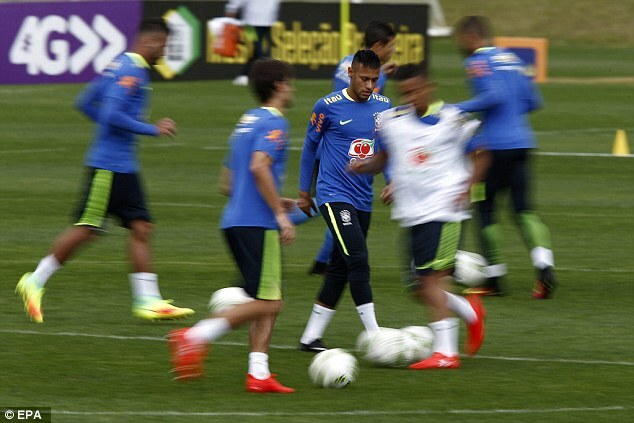 Barcelona superstar Neymar was present as the Brazil Olympics squad begin their preparations for their home Games on Tuesday. 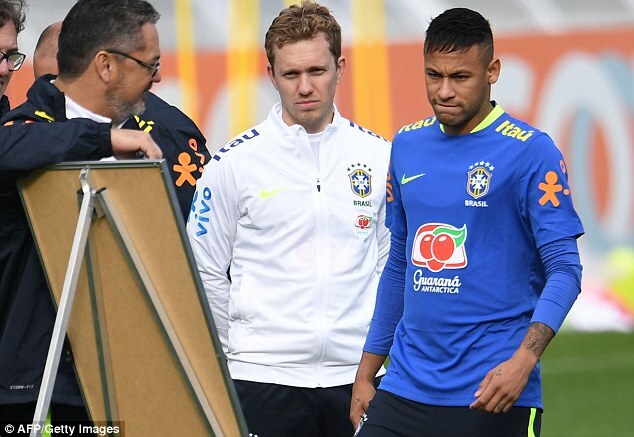 The Selecao captain has been on his holidays after being excused from playing for his country at last month’s Copa America at the behest of his club boss, Luis Enrique. 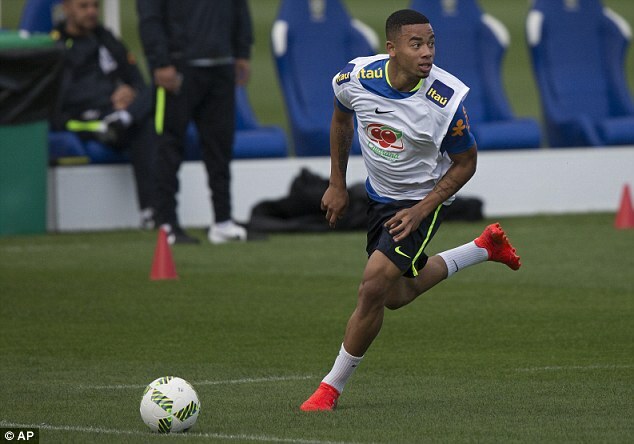 But the forward was back in action at the team’s Granja Comary training complex after arriving in Teresopolis on Monday ahead of the Rio showpiece which begins on August 5. Goalkeepers: Fernando Prass (Palmeiras), Uilson (Atletico Mineiro). 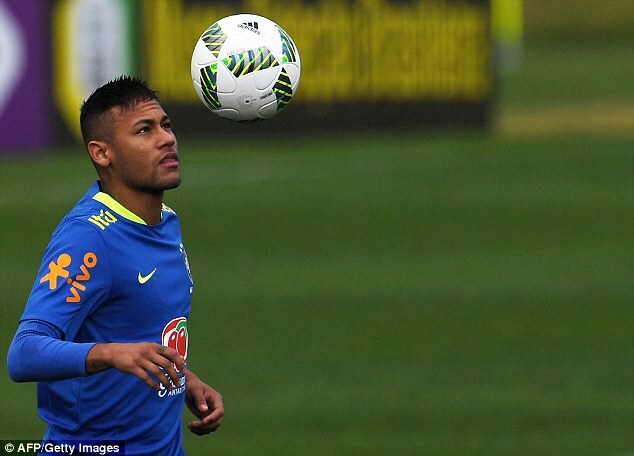 Neymar was joined by the majority of the 18-man squad which was finalised on Saturday with two changes from the one announced in June. Bayern Munich winger Douglas Costa has dropped out through injury, whilst Shakhtar Donetsk have reversed their decision to release midfielder Fred, returning from a doping ban. Renato Augusto of Beijing Guoan and Grêmio volante Walace have been brought in by manager Rogerio Micale. 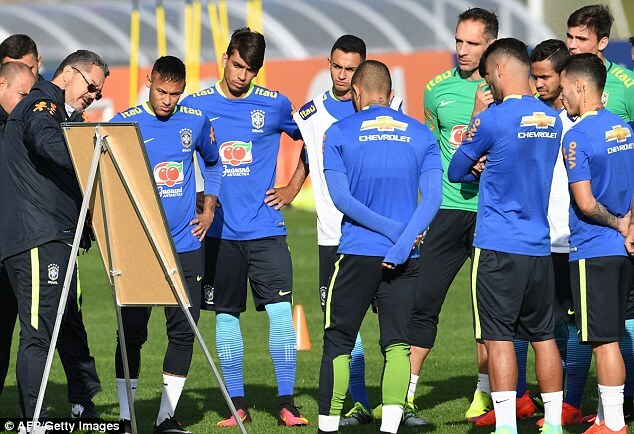 The Brazilian coach delivered a host of instructions to his players before putting them through their paces with a mixture of fitness drills and ball exercises. 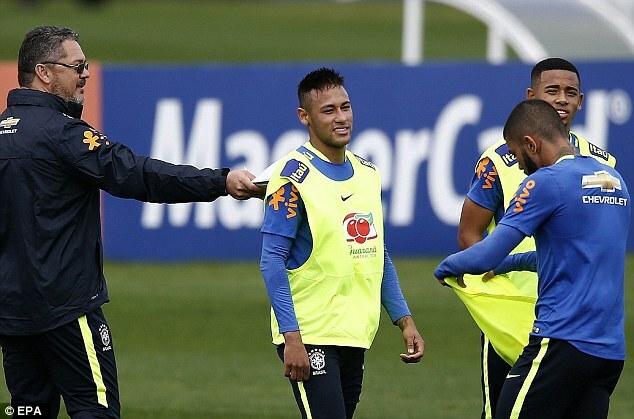 Micale, who has spent his entire career working on the development of young players from his country, will be looking to make history with Brazil as they go in search of the only major title they have never won. The Games represent a huge opportunity for a team that has fallen on hard times to redeem themselves in the eyes of their football-loving compatriots. This summer’s disastrous Copa America campaign, which ended with defeat to Peru and the dismissal of boss Dunga, followed the embarrassment of a 7-1 mauling at the hands of Germany in their home World Cup two years ago. If they are to turn things around then Neymar, the team’s only global star, and Gabriel Jesus, who leads the Brazilian league’s goal-scoring charts, will be vital. They will face South Africa, Iraq and Denmark in the opening stages.